I can't remember a more exciting time in denim than now. I mean, the early aughts when designer denim first became a thing might qualify (we all remember how important those fancy back pockets were right?) Or 2012-2013 when we had jeans in every color of the rainbow (I definitely fell victim to a few too many pairs of those). But I am, at heart, a denim purist, I think. So a pair of true blues with no flashy logos is always infallible. 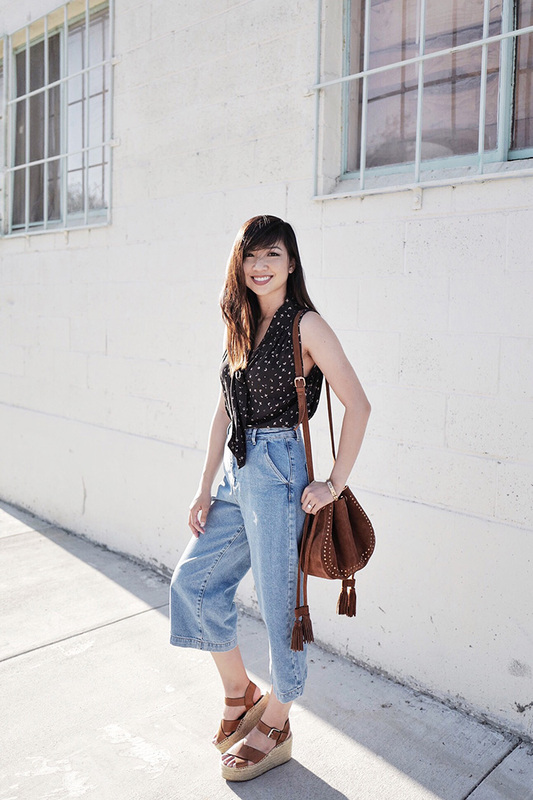 Currently we've got so many different silhouettes to play with that it really feels like you can't go wrong no matter what you pick: culottes, kick flares, high-waists, step hems, mom jeans, straight legs, boyfriend jeans, girlfriend jeans, fringed hems, and everything in between. Even though I still love a great pair of skinnies, they're starting to feel a bit stale with all of the fresher cuts on the scene. With this in mind, I decided to try out my first pair of culotte jeans. Still kind on on the fence about them...despite being a petite-sized pair, I feel like I need to be taller to pull these off perhaps. Or maybe a fancier pair of shoes would do the trick. What do you gals think? Denim culottes, Topshop. Sleeveless neck-tie blouse, Free People (currently on sale...for more great sale finds check out my Finds Under $50 page). Flatform Espadrilles, Pull & Bear. 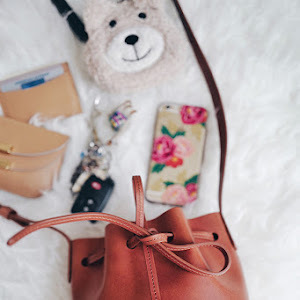 Suede bucket bag, Mango. 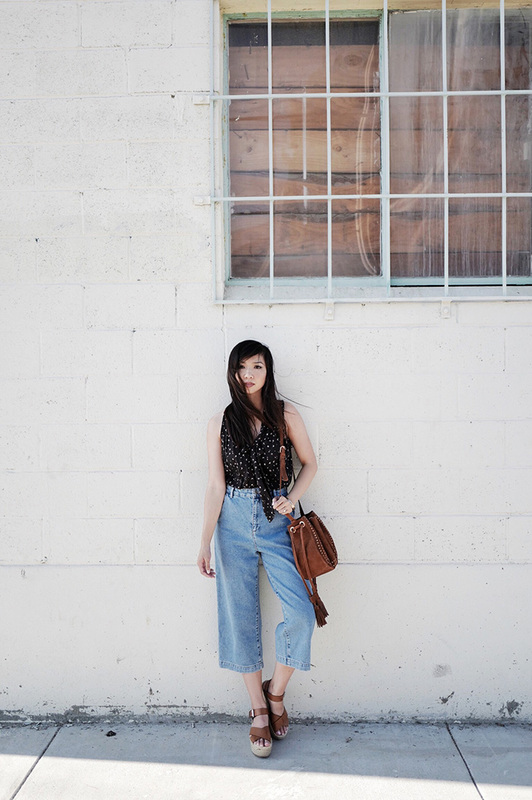 I think you did an amazing job styling this denim culottes! I'm with ya and a denim purist. Hope you have a great weekend! 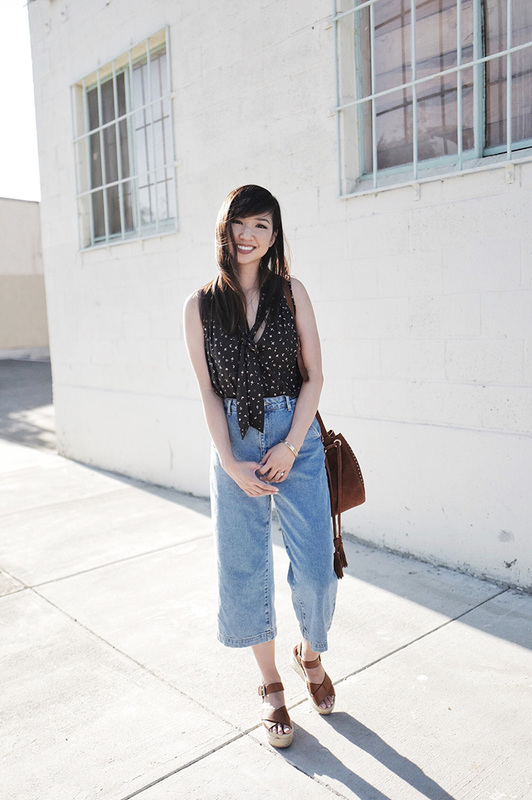 I love how you styled the culottes! Ultra chic! 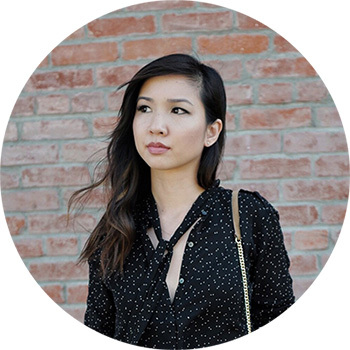 To me, this is quintessentially an LA outfit & I love it. So casual with bohemian vibes but still put together. 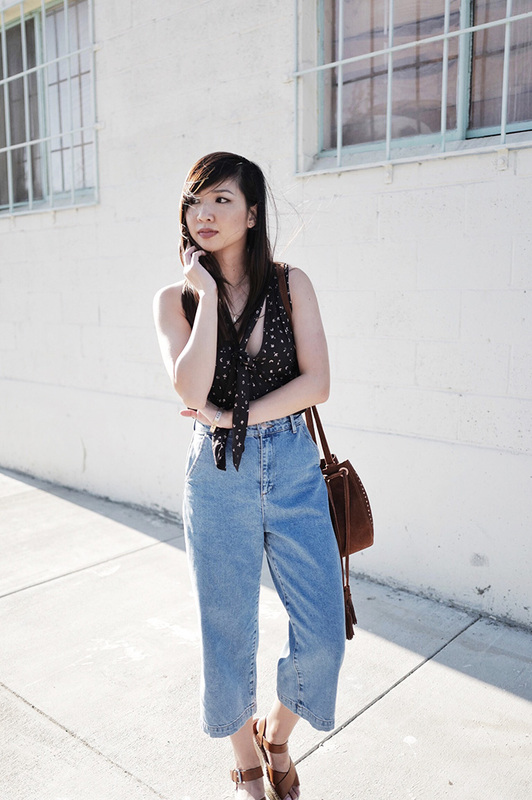 Love the denim culottes. I’ve never seen any before & they look awesome. Please don't remind me of colorful denim. 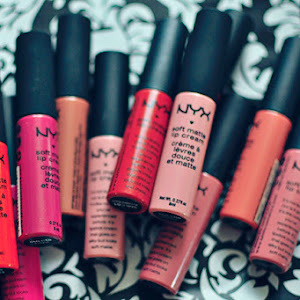 I had an overdose of those :) You can pull off the culotte style, with those shoes and while being petite. Keep wearing them Tania! Yes it's always the shoes. I was in love with culottes few years ago but as soon as I realise I am not willing to wear heels and I am such a petite person, I give up lol But your pair is nice on you! wow this look is so original, love those jeans! These jeans are absolutely on point!! You should absolutely keep them. Love how you styled them with a dressy top as well. I might just have to try them out too! 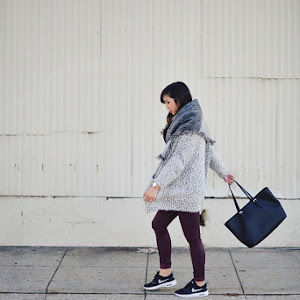 Amazing look Tania, you are so stylish! 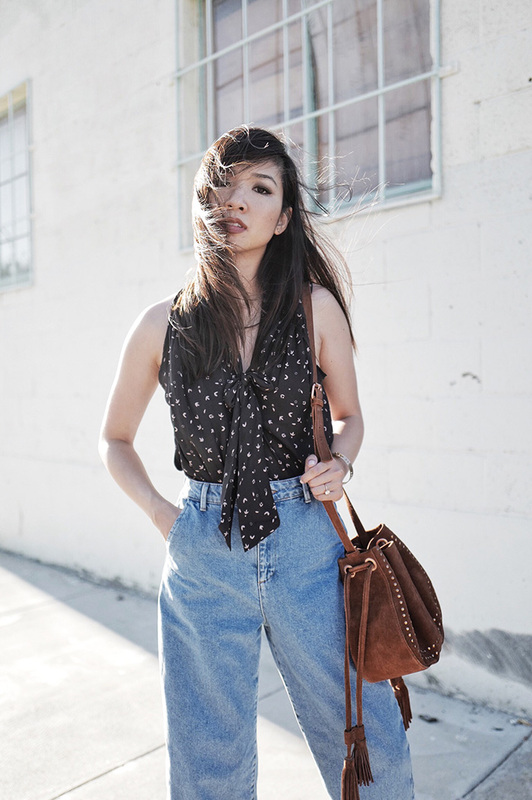 These denim culottes with the knot tie blouse are just perfect! Thank you for sharing and have a greta weekend! You look so amazing! Those jeans look great on you, I wouldn't be able to pull them off! I actually think they look great on you! Those shoes make for a pretty casual, sweet look. If you wanted to dress the outfit up, a pair of sleek, pointed black heels would make this the perfect date night outfit!